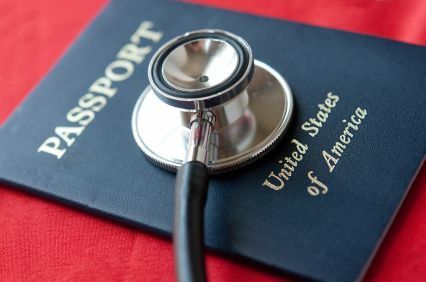 The United Healthcare Passport program fixes one of the perceived disadvantages of being a member of a Medicare Advantage plan. It gives you the freedom to receive care even if you are out of your plan’s network. Although there are plans that lack this flexibility such as some Medicare HMO plans, United Healthcare helps lower in-network costs with the flexibility to receive medical care when you are away from home. The United Healthcare Passport program is available through Medicare Advantage plans such as AARP MedicareComplete. The program is available through plans with all network types, including; PPO, HMO and HMO-POS plans. The plan does have limits and use must follow some simple guidelines to take advantage of the plan. As a benefit, it does offer a degree of freedom not available from all Advantage plans in the marketplace. Don’t confuse this benefit with getting Medicare coverage outside of the United States. World wide emergency coverage is universal among Advantage plans. Is a United Healthcare plan your best option? 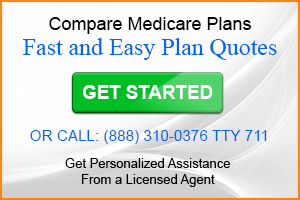 You can compare all Medicare plans online or to speak with a licensed agent call ehealthInsurance, a leading provider of Medicare plan choice toll-free at 888-310-0376. Prior to travel you should call United Healthcare customer service at the number listed on your membership card. You will need to have the zip code for your destination. Making this call will activate your benefit and allow customer service to help you find in-network providers. The Passport allows nine months of travel away from home. This works well for people who may spend part of the year at a vacation home. Once you return home, call customer service so they can deactivate the Passport benefit. In addition to being limited to nine months coverage is not universal. Currently the United Healthcare Passport will allow care in 34 States. Here’s the coverage area for 2017. It’s important to check the Medicare Advantage Enrollment kit or Summary of Benefits should you decide to renew your United Healthcare plan as benefits can change each year. For complete program details you should take the time to read the Summary of Benefits for this and all plan details. Although the Passport Program is an attractive benefit, it’s not the main reason why you would choose a Medicare Advantage plan from United Healthcare. If you find after reviewing these documents that the plan is suitable, you should compare it to other plans to be certain you are choosing the best Advantage plan for your needs and budget. Once you shop several plans, you may find that the United Healthcare Passport Program tips the scales. I would like to sign on when traveling , through the internet, and not have to wait for a trans-scriber the next day. this part makes the plans combersome. Theresa, Here’s a link to United Healthcare provider search. if this doesn’t give you what your looking for call the member services number on your United Healthcare Medicare Advantage card and explain what your looking for. I hope that helps. Is Chautauqua County in New York State included in the United Healthcare Passport Program? Kristen, I’ve spent some time online trying to find an answer for you but apparently United Healthcare wants to keep the United Healthcare service areas a secret. All I can find is outdated information and broken links. Hi…I travel alot and I am in the passport program….but, how can I find out what states are not covered in the program???? Thank you..please let me know as soon as possible…..
Hi Letitia, I have had this question asked several time and have been unsuccessful finding a link showing current information for this program online. Apparently United Healthcare is either keeping it a secret your their web masters need additional education. I would call the member services number on your card and ask for a link or at least an Summary of Benefits for your plan. The Summary will include it. Most of the above questions are posed by those who have signed up. I am trying to decide if Passport will work for me before I sign up and having difficulty. 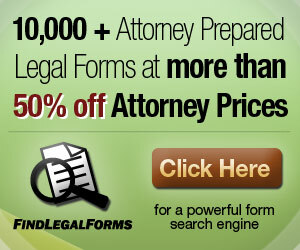 We travel extensively in U.S. and have plan F supplemental now. Plan F is prohibitive cost wise but works well if you travel alot. What to do? Ken, Keep in mind that when you enroll in a Medicare Advantage Plan you are joining an annual plan that can change each year. You’ll need to compare plans each year to be certain you have what’s suitable. With the Advantage Plan you’ll have cost sharing to pay when you use it. Me? If I could continue to manage the premium, I’d keep Plan F. Not that the United Healthcare passport program doesn’t work, just why take the chance unless you just can’t pay the Plan F premiums any more.